"What is the curriculum for our makerspace?" "What's the difference between a makerspace and a summer camp craft area?" Some of the biggest challenges to those starting makerspaces include how are the actual curriculum objectives supported by the activities there, and what should the curriculum be for a makerspace? Districts are spending millions of dollars on equipping makerspaces with materials and tools, but how do they appear in the eyes of visiting school administrators and school board members? How do parents perceive the value of the activities? What will keep makerspace from being just another fad in education and disappearing in 5 years? 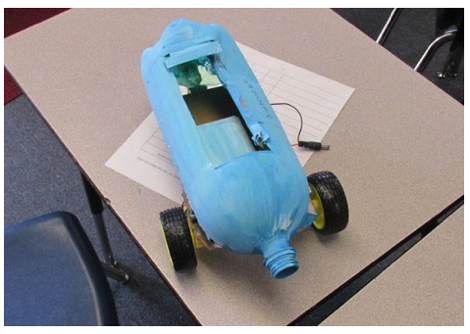 The maker movement is changing the very nature of student projects everywhere. Here are the key tenets of this vision of a roadmap to makerspace activities and objectives, the first two of which don't even require a computer. 7. Bloom's original "Synthesis" is a better measure and objective than "creativity". In Bloom's original taxonomy, he used the word "synthesis". This was changed in a revision by Krathwohl and Anderson to "creativity". However, "to create" just means "to bring into existence", and that could be any random assembly of parts, or lines on a paper. Synthesis is the bringing together of previously-known elements into something that is totally new and innovative to the learner, and perhaps even the world. If we also seek to encourage and nurture entrepreneurship and innovation, then it will be synthesis that is required to combine coding, technology, and even fabrication skills into totally new products and services that will give future inventors their own opportunities. 6. STEAM/STEM is a natural outcome of integrated learning that doesn't need to be forced. When building a project with digital-physical interaction, recognize that every physical project begins with a physical expression (the "A" in STEAM), and that innumerable learning opportunities in science, technology, engineering and math inescapably abound. Rather than try to organize a rigid order of particular facts and concepts, project-based maker activities allow for the encounter and repetition of the most important concepts, and ample instances of particular instances of detail. The process becomes one of organic, layered learning, with what has been learned fitting into an understandable and retained framework of understanding, not just a temporary memorization of facts. From simple questions like, "Which glue should I use?" come concepts of adhesion, surface types, engineering, and even melting point temperatures as necessary concepts for a successful construction and operation of a project. Later when the formal language and concepts are introduced in dedicated science classes, the students will already have the real-world experience and framework to make these concepts firmly internalized. directions of growth, challenges and learning. 4. Coding in the curriculum vs. coding as the curriculum; "Coding in Context"
3. Enhance the learning and the story with video and other digital media explanation. Would a student learn more about their topic if they made a video and used other digital media to further explain it? Of course! A project is enhanced with video and other digital media, and the research and selection of the media is part of any good curriculum. Best of all though is when students create their own content to better illustrate the concepts and explain their project. The digital media can also include animated gifs, Google maps, Google Slides, and more! The answer is to take the existing curriculum-based projects that, if we're being honest, are generally made by parents and grandparents for their children, and make those projects the foundation of the makerspace student activities. This instantly provides guidance for activities with the immense existing resources of educators and their supporting offices of education. It also means that students will have to actually make and learn about their own project. On this foundation can then be built the skills of fabrication, i.e., how to fold, bend, cut, attach, glue, etc. 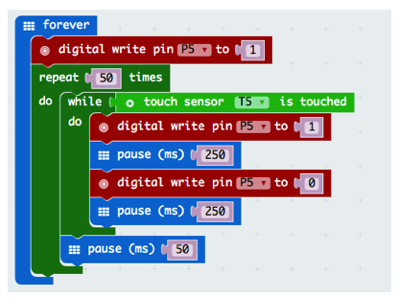 How to program (code), inquire, plan, design, and test. How to paint, draw, and form. And, how to write, speak, and use digital tools of video and media to explain the project and tell an important story. 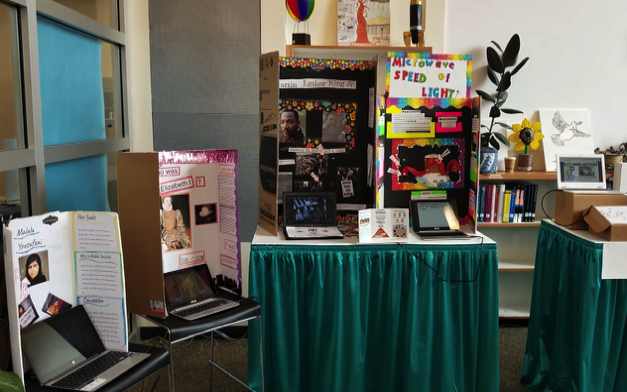 Having students actually build their own curriculum-based projects at school in a makerspace can secure the future of the makerspace for decades to come, students will learn more about their assigned topic, and even with no technology at all involved, this alone will be a lasting accomplishment worthy of the effort. Rather than learn the fundamentals of programming in an abstract exercise, take existing projects even further by introducing conditional behaviors that are implemented with programmed interactions. Start by adding a "quiz" option to the model, and advance to using sensors and actuators to demonstrate physical phenomena with real-world interactions. 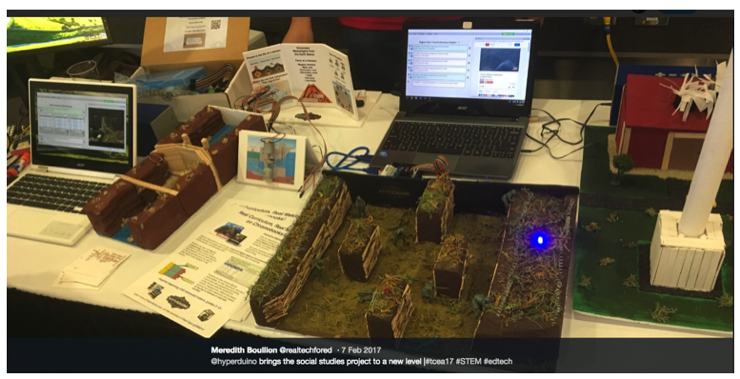 (For example, a science fair project that uses conductivity to identify organic vs. ionic solutions, and plays a related video in response to different samples). This then naturally leads to more sophisticated coding operations, and makes the progression to robotics and other challenges a natural transition. A "low threshold" toy or demonstration that doesn't have a "what's next" step creates a barrier to further learning, and can discourage learners because of the sensation that all further doors are closed because of the large jump in difficulty and requisite knowledge just to advance one more incremental step. Preferred tools always have a "what's next" invitation to learning more, and not just along a linear path, but with branches in a multitude of directions. 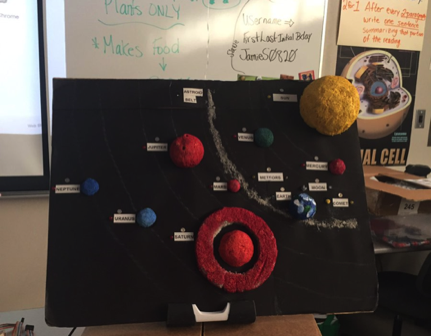 Having made a traditional "classic" physical project, the students simply take on the challenge of making their project into an "interactive teaching display". By adding index cards (for example) with text that describe each element of their project, and creating a simple touch sensor that controls an LED, the project become interactive without even needing a computer. With the addition of a simple mp3 playback module, projects can even include audio, and still without requiring a computer. And, the bulk of the time needed for such a project can even be done without the micro-controller. Adding the inexpensive wires, sensors and LEDs is done independently, and a micro-controller such as the MakerBit can be attached for near-final testing and at "show time".